In 1916, the complete Internal Revenue Code could fit into a small pamphlet. Now you could fill a bookcase with the Internal Revenue Code and associated regulations! As an individual or small business owner, how do you keep up with it all? 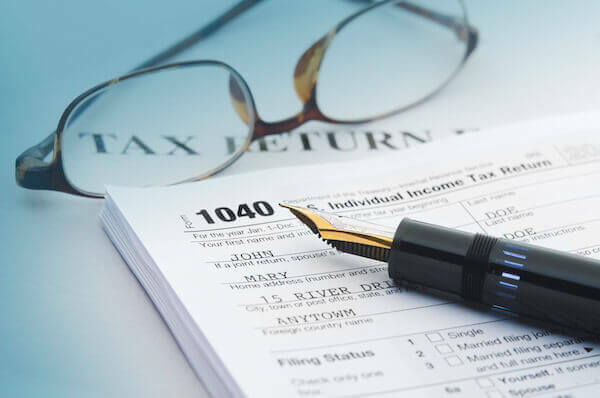 Unlike the rich or Fortune 500 companies, you do not have the time or patience to wade through the Code to find ways to minimize your taxes or avoid the various tax traps out there. That’s where my firm comes in. Like a lighthouse, an experienced tax lawyer can help you navigate through the fog and into safe waters, while avoiding the rocks. With over ten years of experience as a practicing CPA and tax attorney, I can help you whether you are considering the tax consequences of a transaction or you are in trouble with the tax authorities. Which business entity should I use for my business: an LLC, S-Corporation or Corporation? How can I “audit-proof” my business in case the IRS comes a knocking? Should I set up a Roth or traditional IRA for my retirement? Which is the best way for me to save for retirement? I am considering selling my business, what is the best way to structure the sale to avoid unnecessary taxes? My estate is worth less than $5 million, do I still need to think about taxes? I have answers to these questions and to a great deal more. Call or email me and find out the best way to minimize your taxes and keep more in your pocket! Taxes, like death, may be inevitable but that doesn’t mean you should pay more than your fair share. If you are in trouble with the IRS then you know how powerful it can be. The IRS has broad powers to collect unpaid taxes – it can file a tax lien on your property, destroying your credit or seize your bank account and garnish your wages, making it impossible for you to pay your bills. Unlike other creditors the IRS doesn’t have to go to court and get a judgment before it can start collecting, which means that unless you get help fast then you may loss your hard-earned assets. Stop worrying and start living again! I can help you understand your situation and recommend a course of action that can give you back your peace of mind and let you get on with your life. Don’t be fooled by the radio and late-night ads peddling snake oil. Dishonest sales pitches which promise you can settle your IRS debt through an offer-in-compromise for pennies on the dollar are an illusion. The IRS is not a used car-salesman and if you have sufficient income or assets it will accept nothing less than the full amount due. These companies know that you are in distress and they will say anything to get your money. In fact, only around 40% of all offers-in-compromise are accepted by the IRS each year so you have a better chance of being rejected than accepted if you make an offer on your tax debt. What you need, instead of hollow promises, is an experienced tax attorney who knows the rules and who can fashion the best solution for your problem. As my Marine recruiter once said to me, “We don’t promise you a rose garden.” Dealing with the IRS is not easy nor glamorous and there is no guarantee that your debt can be settled for less than the full amount. What I guarantee is that I will work with you to fashion the best plan possible to resolve your tax debt. Whether we do an offer, an installment agreement, ask for a penalty abatement or something else, I will be there all the way as your advocate and adviser. But for me to do that, you need to take the first step and give me a call or email me. Stop worrying and start living! Yes, I can handle tax returns in addition to tax planning. Old habits die hard and I am not ashamed to admit that I still enjoy preparing tax returns for clients. My prices are comparable to local CPA firms and you have the benefit of obtaining the services of both a CPA and attorney. From simple 1040s to complicated trust tax returns, I can do it all. I also have the ability to prepare old tax returns so if you haven’t filed in a long time (even a very long time!) I can help you. Call or email my office today for a quote.